There is a certain irony in the news that the FIA has called Renault to answer charges of being in possession of McLaren intellectual property. Flavio Briatore was very loud in his condemnation of McLaren immediately prior to the WMSC hearing and it now seems that this might rebound on him and his team. The similarities in the two cases are almost uncanny, both companies insisting that they are being "completely transparent" to investigation of the charges and the FIA concentrating on the matter of possession of information. It is interesting that the FIA has chosen to take the Renault case so seriously. One could argue that they have no option in view of the widely-held opinion that they have been motivated this year purely by a desire to "get McLaren"; if they were to allow Renault to escape without investigation, it would be fairly obvious that this was indeed their intent. The extent to which they are prepared to sacrifice Renault on the altar of appearing even-handed remains to be seen, however. I have no doubt that the FIA will maintain that this is a very different case from McLaren's alleged espionage and, to some extent, this is true. What has happened in Renault's case is an extension of the usual spread of information that occurs inevitably whenever an employee moves from one team to another. The difference is that this particular employee apparently did not trust his memory sufficiently to rely on his brain for the export of data; he brought it on CDs instead. That is where the Ferrari documents ended up too - on CDs. So the only real difference in the two cases is the matter of employment; no employees switched sides in the McLaren example whereas a migrating employee became the method of transfer in the other. If we are going to maintain that the two cases are totally different, we must be saying that it is the method of transfer of information that matters, not the mere possession of it. There seems to be little doubt that the CDs were brought into Renault by their new employee - some details of the information they contained were listed in the FIA's summons to the company. Renault is saying that the information was not used, just as McLaren maintained, but a precedent has now been set by the FIA: if an employee was or employees were in possession of information, it "must have been used" in the FIA's opinion. Now we see how the ramifications of the WMSC verdict can destroy the very sport the FIA are supposed to be promoting and supporting. By venturing into legal territory, they have created a situation where teams can be penalized on suspicion alone. And it leaves the FIA in a very unenviable position indeed. To give the impression of being fair, they must deal with the matter; but, if they apply the same rules and penalties as they did in McLaren's case, the likelihood is that Renault would withdraw their team from the sport. Carlos Ghosn, the Renault principal, has already said that the company is involved in F1 only while it proves a valuable promotional tool. A hefty fine and charge of bringing the sport into disrepute would swing the balance away from there being any value at all in Renault's continued participation. Whether the FIA likes it or not, the theft of intellectual property is a legal matter and for the courts to judge, not the FIA. Max Mosley has attempted to get around this by saying that the so-called industrial espionage by McLaren brought the sport into disrepute and, strictly speaking, this is the charge that McLaren were found guilty of. But how can an alleged offense cause any disrepute before it is proven? The WMSC were forced to venture into legal territory by first ruling that industrial espionage did take place (and their verdict is suspect in that it was based entirely upon Max Mosley's opinion) and only then being able to say that this brought the sport into disrepute. The Renault case is only the first of the damaging results of the WMSC's rash pre-emption of the pending court cases. Should the courts decide otherwise than opined by the WMSC, the FIA's penalization of McLaren and perhaps Renault will be revealed for what it was: the verdict and sentence of a kangaroo court. The FIA should not have become involved in such matters at all - it is not its job to decide upon matters of civil law. The purpose of the FIA is to govern the sport; it has rules and regulations that, if contravened by a team, it can decide how to penalize. It was their decision to charge McLaren with bringing the sport into disrepute - but any such disrepute can only stem from McLaren being found guilty of industrial espionage in a court of law. Only at that point do the FIA become justified in penalizing for a disrepute charge. It is quite clear that the FIA jumped the gun in their eagerness to punish McLaren for suspected espionage. Their attitude should have been that protection of data is a matter for each team to sort out. If information escapes, then the team needs to attend to its security and take the matter to the law courts, if they feel they have a case. This is, in fact, how the FIA reacted to the conviction of ex-Ferrari employees supplying Toyota with information and it is tempting to believe that the only reason they reacted so differently in the McLaren case is that there was a desire within the governing body to lash out at McLaren. And now the FIA begins to pay the piper. I can see no option for them but to let Renault get away with things very lightly; anything else runs the risk of causing the company to leave F1. For that, they will be criticized mercilessly and accusations of McLaren-bashing will be revitalized, but they will just have to brazen it out. It really is time that there was spring-cleaning in the house of the FIA and that a more equitable way of governing the sport was devised. Very well put, Clive. As usual you present a well considered view of the situation. I understand your rationale about how punishing Renault as severly as they did McLaren might very well cause Renault to withdraw from the sport. But if they don't, don't they run the risk of looking stupid, petty and incompetent? Perhaps this may be the straw that leads to a complete house-cleaning and restructuring of the FIA and installing Sir Jackie at the head of the org. Thank you, Don. I can only hope that this, or perhaps the series of bad decisions made by the FIA this year, will cause something to be done about the sorry mess the governing body has become. And Sir Jackie is an excellent choice as the man who should be able to get things back on to a more even keel. You know what they say: give him enough rope, and Max might just hang himself. There is no way he can come out of this situation of his creation without smelling like the out-house. No matter which way the FIA decide to take it, and force the WMSC to rule, Max will have exposed himself as biased and incompetent, not to mention unfit to continue. The question is, like any dictator, how do you get rid of him? I'm sure that if there were motions behind the scenes, we wouldn't hear about it, but is there enough will within the FIA to see that Max must not be accepted as a candidate for re-election? If the charge of bringing the sport into disrepute carries a penalty of $100 million, then Max should be expected to give up some of his father's ill-gotten booty. All true, Alex. Unfortunately, the delegates seem to be completely in Max's pocket. It may be that there are moves behind the scenes but they are very well covered in that case. I am hoping more that the manufacturers will get together and demand that changes are made. And that's another thing that Max has created that may count against him - a powerful power bloc that can bring him to heel if he goes too far. A nicely presented piece Clive. I have long stated that Max hasa bad habit of knee-jerk decisions with no thought for the implications. I can see no meaningful difference between the Renault case or the McLaren case. Neither is different to the Toyota case although in that case two ex-Ferrari employees were convicted in a German court and of course Toyota had previous in the form of a deliberately engineered illegal rally car. 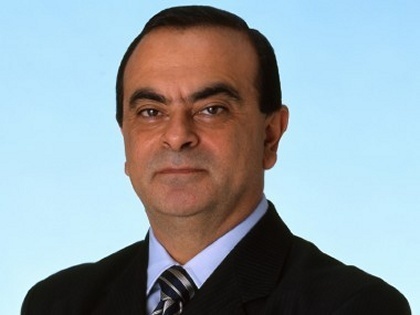 I have absolutely no doubt Carlos Ghosn will pull Renault out of F1. It took him long enough to justify staying in last season to the point where they lost Alonso. A huge fine and a load of scandal will push him a long way over the edge. There are a number of interesting news articles on the subject today. The FIA's response to Damon Hill's comments is strange to say the least. Nigel Stepney who was responsible for the legality of the Ferrari wrote to Charlie Whiting telling him it was illegal. McLaren then wrote to say it was illegal. Now the FIA are claiming it was legal. Odd. Autosport apperently has information that 15 Renault engineers saw the McLaren info. If that is close to the truth then Max is going to have a hard job wriggling out of this one. Charlie Whiting's response to McLaren's inquiry regarding the movable floors makes it quite clear that they were illegal, regardless of whether they managed to pass the existing test or not. The FIA's answer to that one is sheer nonsense and I would be amazed if they don't know it. It sounds as though there is proof that at least 15 engineers at Renault knew of the McLaren information; in my book, fifteen sure beats the three McLaren employees proved to know that information was coming from Ferrari through one of them. Max is in deep trouble on this one but I'm sure he will dictate his way out of it, just as he did in the WMSC hearing. And thank you, Andrew. He goes too far - Max must go all the way, out the door in fact! Great analysis all the way down. There really does need to be a complete overhaul of the governing body and the people attached to it. Max is at the center but, if no body at the FIA is willing to dissent then it would seem the entire system is fouled. But that's the problem. You know what they say about power and absolute power. Max has been running the FIA like he's immortal. Are there any apparent, qualified candidates who would want to step up? As far as what happens to Renault, I wonder if there isn't just the tiniest bit of an out in that no "proof" in the form of emails, txt, red spray pain on the walls in their wind tunnel has come to light that they actually considered testing anything developed from the McLaren data. If they're going to even try and equate the two cases that may be the way they go, lame as lame can go. As I understand the reports, Verasaki, Renault has admitted that fifteen engineers saw the information, so no proof is needed of awareness within the company. In McLaren's case, the email evidence proved that Alonso and de la Rosa, in addition to Coughlan were aware that info was coming from Stepney - but there was no proof that it went any further or was used. Max dealt with the matter by saying that the info "must have gone further" and that was accepted by the committee and formed the basis for their verdict, in fact. In Renault's case, there is no need even to say that the info "must have" penetrated deeply into the company; it is already admitted that it did. So we are left with both companies assertions that it was never used. McLaren was not believed - why should we believe Renault? My bad. And bad memory. I thought I remembered the Alonoso/DeLaRosa txts were discussing trying some of the Ferrari data in the tunnel but that none of the data found it's way onto the actual car they sent out to race. Nothing wrong with your memory, Verasaki - Alonso and de la Rosa did indeed talk about trying some things in the wind tunnel. But de la Rosa said that, in the event, they weren't tried. That is the point at which Max maintained that things must have gone further - he did not believe Pedro, although there was no evidence either way. And it is at that point that the hearing departed from considering known facts and instead relied upon Max's opinion for arriving at a verdict. In striking contrast to 06, McLaren’s ‘07 package danced around that of Ferrari’s all season long, at times ahead, sometimes equal, and at other times behind. Since Ferrari’s technical material was known to be in McLaren’s possession, a circumstantial case could be made that McLaren may have used this material to some degree to gain such parity. In addition, McLaren were prime contenders for both the drivers’ and the constructors’ titles throughout the ‘07 season, which inevitably drew more attention to their team. Indeed, technically they were banned from the constructors’ title midseason, but on-track established facts tend to negate fantasy in an honest analysis of the constructors' rating. While Renault were known to have McLaren’s technical material in their possession, in a striking reversal of their ‘05 and ‘06 seasons, the Renault was a considerable distance behind the McLaren in performance all season long. Thus, a circumstantial case could be made that Renault never did use any of this material. In addition, Renault were far from contenders for either the drivers’ or the constructors’ title at any time during the season, and ‘also rans’ rarely garner very much attention. So, what’s my position in this ongoing spy saga? Come on now, I’m merely an amused spectator! I'm glad you said "circumstantial", David, because that particular argument is based entirely on circumstantial evidence! It ignores the fact that every team's competitiveness does vary from one season to another (witness Honda '06 and '07) and also on the misconception that the MP4-21 was a bad car. It wasn't - Kimi Raikkonen was in contention in most races with it, as was Montoya until he departed. Its weakness was reliability and Kimi would have been a contender for the championship with fewer DNFs. So what was different about the MP4-22 was much more its reliability than drivability. McLaren were merely repeating their habitual pattern of competitiveness one year and failure in the next of the last decade or so. The argument also supposes that information gained in March 2007 at the earliest could have any effect on the performance of a car designed in 2006. By that late stage, only peripheral detail changes are possible, the kind of thing that might gain a few hundredths here or a thousandth there. But a good car is already a good car by the beginning of the season, just as a bad car remains so throughout the season (again, witness the Honda). That is why the FIA is so interested in McLaren's car for 2008 - if the designers used any of the Ferrari information, that is where it will show up, not in the MP4-22. Renault's lack of performance is explained by the team itself: they had more difficulty in adapting to the Bridgestone tires than others because their previous cars had been designed very specifically with Michelins in mind. Add to that the fact that they got the aerodynamics wrong and it is no wonder they struggled all season. The Ferrari information did not come into McLaren's possession until after the start of the season and a long time after the design of the 2007 car was completed so it had nothing to do with the improved performance. In actual fact if you look at the races after they received the info you will find that their results are worse than the races before the received it. McLaren's performance this season was anticipated in a lot of the season previews. The main reason cited being tyres. The tyres used this season were harder than the 2006 tyres and much closer to the 2005 tyres which Raikkonen almost won the driver's championship with in a McLaren. The info arrived around the time that the basic design for next seasons car would have started so in reality it would have been no use whatever to them in 2007. As usual Max totally ignored this fact in hi decision making. Simple question: is there any way that Formula One can just seperated itself from FIA control? As appalling as Max is, I think the FIA's disfunctionality extends beyond him, so I think it would be best to severe the ties with the FIA completely. After all, the current concorde agreement expires at the end of this year. If ever there was a time, now might be it! I worry that the FIA organization has become so deeply embedded with Max supporters that it might not be possible to replace him if he has no intention of retiring soon, and we could be stuck in this ridiculous situation for many years to come. Crazy idea, I know, but these are drastic times, and drastic measures are called for! But that said, I expect this is wishful thinking on my part, as I really have no idea how these things work in F1. Here's one for all the conspiracy theorists: What if McLaren purposly planted misleading info on the discs that ended up at Renault? I think the only way would be for the teams to leave as a group to set up their own series, Eric. It has been threatened often enough in the past but somehow the teams always back down, usually because they can't get 100% unanimity. I think the changes will have to be imposed by the manufacturer teams using the threat of withdrawal to insist on change. "The Ferrari information did not come into McLaren's possession until after the start of the season and a long time after the design of the 2007 car was completed so it had ..."
Perhaps, but your theory assumes this was the only information that ever passed between these two friends. “I just did it the once and ...” Now, where have I heard that tale before? What you say is absolutely correct. But you can put any spin you like on it. Nigel Stepney in his open letter to Max said that his motivation for giving info to Coughlan was that he was getting McLaren info in return. If you look at the dates we are told the info exchange started Ferrari's performance improved in relation to McLaren's and Raikkonen's perfomance improved in relation to Massa's. So Ferrari gained by receiving info from McLaren. I assume you are suggesting McLaren planted the discs to take some of the heat off them because of there problems with the FIA. From the stories I have read Renault have admitted having this information for almost a year before the Ferrari dossier came into Coughlan's possession so I can't see there is a connection. The reason we don't have an alternative series starting in the next couple of seasons is because Ferrari double crossed the other manufacturers. The manufacturers signed an agreement and went a long way down the line to setting up their own championship. They were also negotiating as a block with Bernie to get a better financial deal. Ferrari then did their own private deal with Bernie so that they get a better financial package than any other team which is a 'privelege' they have had for decades. Unfortunately the rest caved in to Bernie rather than cutting off Ferrari. So Ferrari 'saved' the existing F1, guaranteed that they get a better deal than any other team and guarateed that they will get favourable treatment from the FIA. The other problem is the FIA structure. When Max took over from Jean-Marie Balestre motor sport was not run directly by the FIA but by its sporting arm FISA. Max decided that FISA should no longer exist and that the FIA would run motor sport direcly. As a result instead of motor sport people electing a FISA president to run motor sport you now have representatives of the motor industry elcting someone to administer the FIA with no interest in how it affects racing. As a result Max can do whatever he likes as his constiuency cares not a jot about racing. Or rather, they do care about racing (except maybe Switzerland) so long as it's the bit in their borders. And apart from the two-dozen or so with a reasonable chance of getting a Grand Prix in the foreseeable future, that means they can be scared off by the president threatening to withdraw support for the smaller racing series that they hold more dear than larger races that occur outside their national boundaries. I think there is a strong case for the FIA to re-create FISA to look after the sport and a rule should be put in place that no-one can be president or hold any office on both bodies. This in effect will provide the checks and balances of a two chamber parliament. So that FISA can be held to account if it steps over the line. The president and senior office bearers would need to be elected by a motor sports constituency which unfortunatley means the national associations. Until F1 realises that it is capable of existing without the FIA/FISA the blazer wearers are destined to be in power. Nothing wrong with returning to the past to get things right. FISA may not have been perfect but it was certainly not one man's domain in the way Mosley has made the FIA his own personal toy. Balestre was a pain but there were plenty of voices raised in dissent against him.